It is easy to use and get used to it due to its application from the lip sides of teeth. We recommend introducing with orthodontist should be about 6-7 years old. It is easier to get use to it, compared to conventional braces. Your teeth is valuable for you and as well as for us. Various orthodontic treatment options increasing patient comfort and meeting aesthetic requirements are offered as a result of reflection of technological improvements to orthodontics. Orthodontics Treatment no longer will be a nightmare for you. We will always be with you together with high technology devices, our hygienic clinics and specialist doctors. 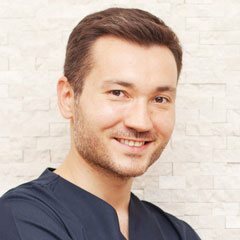 Dr Özgür Ufuk Demir who was born in İstanbul 1980, graduated from Marmara University Dentistry Faculty in 2003. After accomplishing his post graduate orthodontics doctorate between 2003-2007 in Yeditepe Dentistry Faculty, he did his military duty as a reserve officer in GATA Dentistry Center Orthodontics Department in 2008. Hande Biçeroğlu Demir who was born in 1985, started her dentistry education in Yeditepe University Dentistry Faculty in 2003. She was graduated from the same university being the 3. of the term and receiving ‘Honour Degree’ in 2008 and without any interruption she started her profession at Yeditepe University Dentistry Faculty Orthodontics Department in 2008. Hande Demir In 2012, by accomplishing her thesis about ‘Comparision of the Effect of Three Different Guide Gap Practice Method on Stabilization of Miniscrew’ she received Orthodontics Specialist title. In 2012 together with her husband she started working in Orthodontics Clinic. Hande BİÇEROĞLU DEMİR, was volunteer educator in Turkish Education Volunteer Foundation in 2008, participates regularly to symposiums and congress of Turkish Association of Orthodontics and Turkish Association of Dentists congress since 20017. She participated DIAGNOSIS, FACE PLANNING AND TREATMENT OF ORTHOGNATHIC SURGERY CASES by DR. G. W. ARNETT in 2010 .She participated INCOGNITO program in 2011 at Amsterdam and received her certificate, also participated HARMONY program and again received her certificate in 2012. She participated the meeting of ROTH WILLIAMS INTERNATIONAL SOCIETY OF ORTHODONTICS, PARIS in 2012. She accomplished 2 years training of ‘FACE/ ROTH WILLIAMS Functional Occlusion and Orthodontics’ between 2011-2013. In 2012 she participated the certificate program INNOVATIVE CONCEPTS OF MODERN ANCHORAGE by Bjorn Ludwig course in Germany Traben/Trabach. She participated the congress of American Orthodontic society at Philadelphia in 2013. She also participated the congress of Roth Williams society at New Orleans in 2014. In 2015 she participated Roth Williams International Society of Orthodontics Miami congress. She participated the meeting of 2016 FACE group (Functional and Cosmetic Excellence) in Madrid. In 2017 she attended Stability-The Key course by Kazmi Ikeda in San Diego . In 2018 she finished Invisalign certificate course. 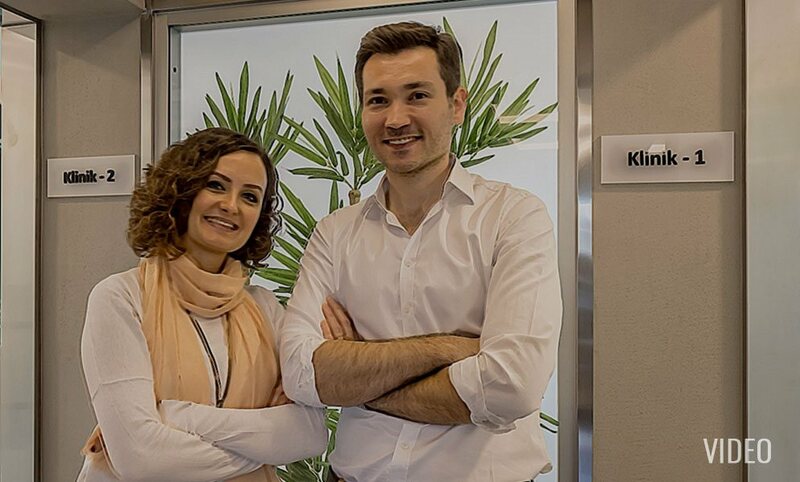 Demir Hande Biçeroğlu who is married with his colleague Dr Özgür Ufuk, conveys her experience to his patients in her clinic located in Atatşehir. Continuing his education without interrupting Dr Hande Biçeroğlu Demir is following various national and foreign professional congress and courses. Dr Hande Biçeroğlu Demir is an active member of Turkish Association of Orthodontics, American Association of Orthodontics, World Federation of Orthodontics and Roth Williams International Society of Orthodontics. After studying in Yeditepe University Dentistry Faculty as an academician between 2008-2009, he worked in Private Dentistanbul Dental Hospital as an orthodontist between 2010-2011. He completed ‘Temporomandibular Disorders and Orofacial Pain mini residency program which was given by Jeffrey Okeson at Kentucky University in 2010. He accomplished 2 years training of ‘Roth Williams Functional Occlusion and Orthodontics’ between 2010-2012. In 2012 he completed ‘Orthodontics and Orthognatic Surgery’ course which was organized by William Arnett in Santa Barbara, California. In 2012 he participated INNOVATIVE CONCEPTS OF MODERN ANCHORAGE by Bjorn Ludwig course in Germany and received his Incognito and Harmony system certificate in the same year. He participated the congress of American Orthodontic society at Philadelphia in 2013. He also participated the congress of Roth Williams society at New Orleans in 2014, Warsaw congress of Europe Association of Orthodontics and accomplished 2D lingual orthodontics course by Dr Vittorio Cacciafesta at Milano in the same year. In 2015 he participated Roth Williams International Society Of Orthodontics Miami congress. Dr Özgür Ufuk Demir who is married with his colleague Hande Biçeroğlu, conveys his experience to his patients in his clinic located in Gebze. Continuing his education without any interruption, Dr Özgür Ufuk Demir is following various national and foreign professional congress and courses. Dr Özgür Ufuk Demir is an active member of Turkish Association of Orthodontics, American Association of Orthodontics, World Federation of Orthodontics and Roth Williams International Society of Orthodontics. Information inside this web site definitely do not replace the doctors’ medical examination or diagnose for his/her patient.